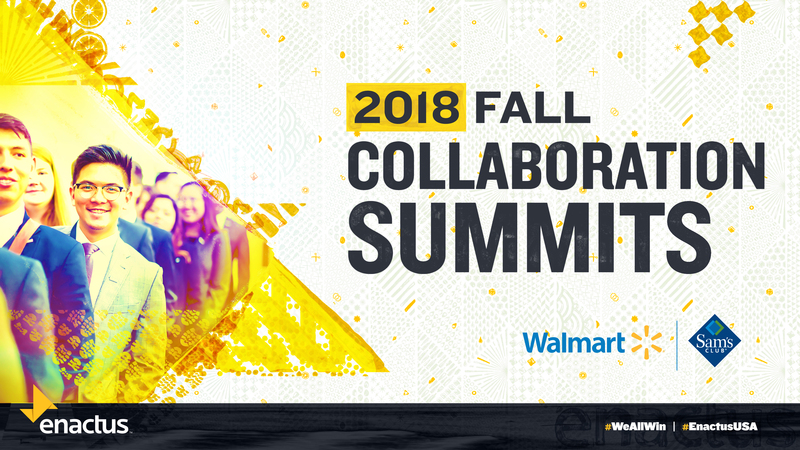 The Fall Collaboration Summits are an opportunity for new students/teams to get an introduction to Enactus and for our returning students/teams to share their knowledge and hear new ideas. These summits are geared toward training, networking, career development, and collaboration. At each event, you’ll spend the day collaborating with other Enactus students and advisors on project development and team sustainability topics, as well as receiving networking advice and applying that advice in the Enactus Partner Company Career Fair. Entrepreneurial - initiating ideas and business solutions with passion and innovation. Action - the experience of sustainable impact, activated with integrity. Us - student, academic and business leaders collaborating to create a better world.